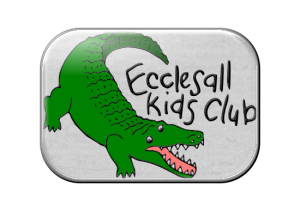 Ecclesall Kids Club uses safe recruitment practices to ensure that all people working with the children in our care are safe and qualified to do so. When recruiting paid staff or volunteers we will follow the procedures set out below. We will advertise all vacancies, and any job advertisements will include a statement about our commitment to safeguarding children and our Equal Opportunities Policy. a request for the contact details of two referees one of which should be the last employer; (if this is the candidate’s first job, their course tutor is a suitable alternative), the other referee may be a character reference. In order to be considered for interview, all applicants must submit a hand-written application form by the stated closing date. We will only accept CVs if they are also accompanied by our standard application form completed as required. The interview will be conducted by a minimum of two interviewers. All interviewers will have received training in Safer Recruitment. All candidates will be asked the same set of questions. We will then ask additional questions about any other issues that arise from their application form, for example gaps in career history, etc. Candidates may be asked to participate in a small supervised session with the children so that they can be observed interacting with the staff and children. Only when all candidates have been interviewed and observed in a session will we make our final selection, we aim to inform all candidates of the outcome within 5 working days of the date of their interview. Ideally we will to take up references before interview where we are unable to do this we will not be able to make an offer of employment until we have received satisfactory references. contact both referees for a reference, including asking them if they have any child protection concerns about the candidate. We will also take photocopies of the new member of staff’s qualification certificates and proof of identity and keep these on file, together with their returned DBS number and date of check. We will conduct a full induction and orientation programme with all new members of staff as set out in our Staff Induction policy. As part of that induction all staff will be required to undertake as a minimum appropriate training in Safeguarding, the Prevent Duty and for all staff handling food, Food Hygiene. If staff currently have the required levels of training, the details will be placed on our central record and updating dates will be determined. New staff will only be allowed to work unsupervised with children when we have received a DBS check for them and it is cleared in terms of suitability to work with children. If we decide to allow a new member of staff to begin work pending the completion of their DBS check, we will complete a written risk assessment first and they will not be allowed unsupervised access to the children until their DBS check has been received and cleared. The Club will fund the costs of DBS checks for all staff. The Club will also fund the annual costs of the DBS Update service for permanent staff and for supply staff who intend to remain on our register rather than those undertaking a one off contract. DBS checks for all staff will be updated every three years. Information about the status of DBS checks for all staff is kept on our Central DBS Record. Staff DBS information will be stored in accordance with our DBS policy statement. At all times we will ensure our policy is updated in line with SSCB (Sheffield Safeguarding Children Board) and is consistent with the guidance within the document DfE Keeping Children Safe in Education (2016) and the Statutory Framework for the early years Foundation Stage (suitable People) 2014.